They were teenage sweethearts from opposite sides of the tracks - with a passion that would change their lives for ever. But life would force them apart. Years later, the lines they had drawn between past and present are about to slip . . . Called back to their hometown for the funeral of the mentor who once gave them shelter when they needed it most, they are faced with each other once again, and forced to confront the paths they chose. Can true love ever rewrite the past? This is the new epic love story from the multi-million-copy bestselling author of The Notebook, The Lucky One and The Last Song. 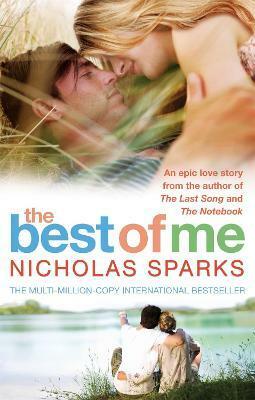 Nicholas Sparks is one of the world's most beloved authors. With over 105 million copies of his books sold, Nicholas Sparks is one of the world's most beloved storytellers. His novels include thirteen number one New York Times bestsellers. All Nicholas Sparks' books have been international bestsellers and have been translated into more than fifty languages. Eleven of his novels have been adapted into major films - The Longest Ride, The Best of Me, Safe Haven, The Lucky One, The Last Song, Dear John, Nights in Rodanthe, Message in a Bottle, A Walk to Remember, The Notebook and The Choice. For all the latest news from Nicholas Sparks, sign up for his e-Newsletter at www.nicholassparks.com, and follow him on Facebook and Twitter: @NicholasSparks.